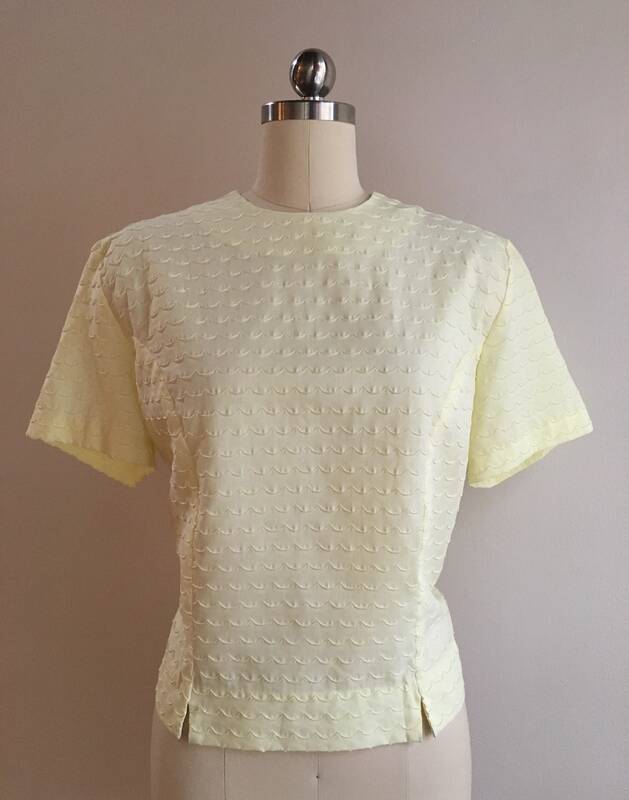 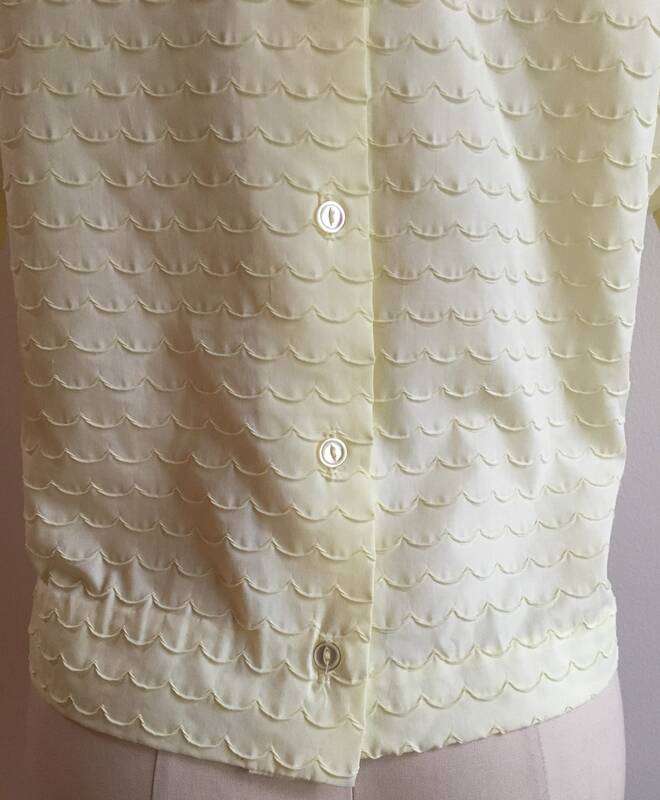 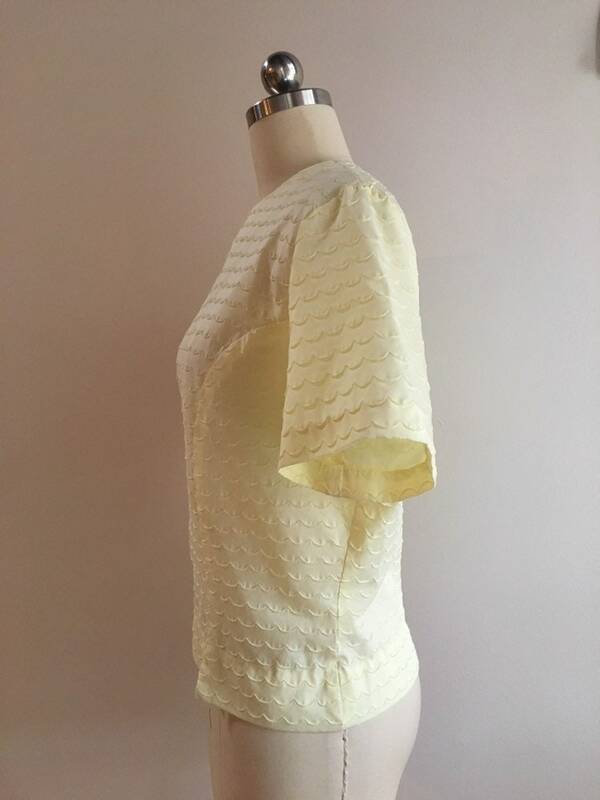 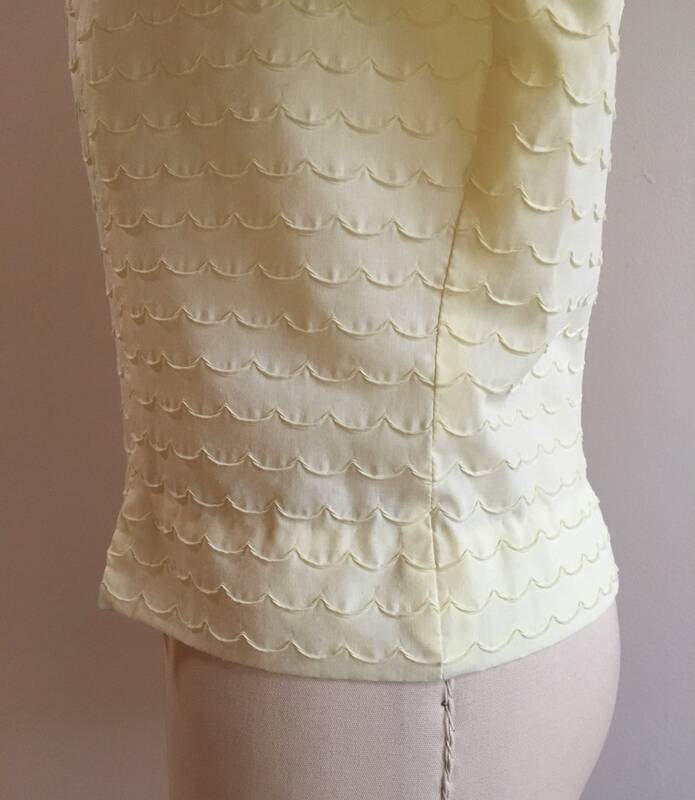 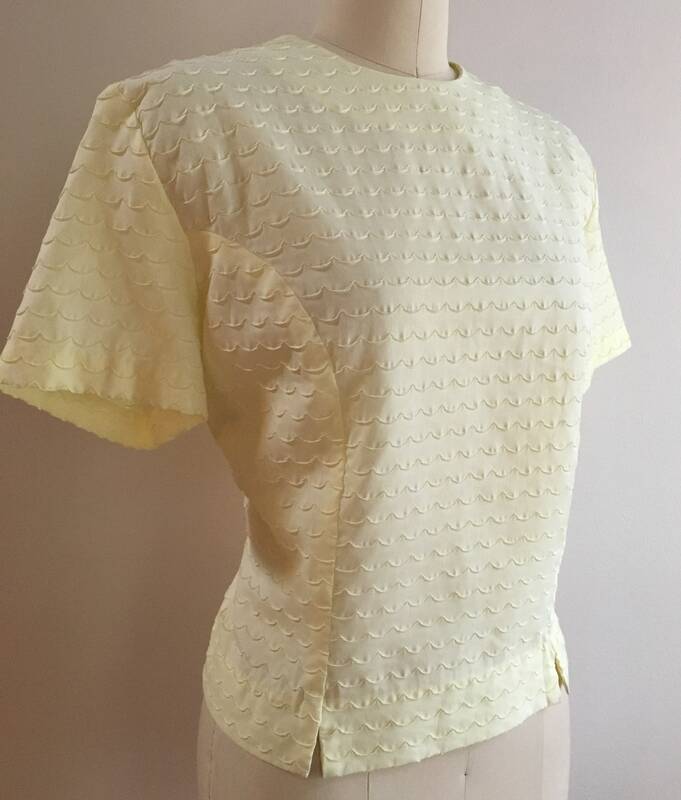 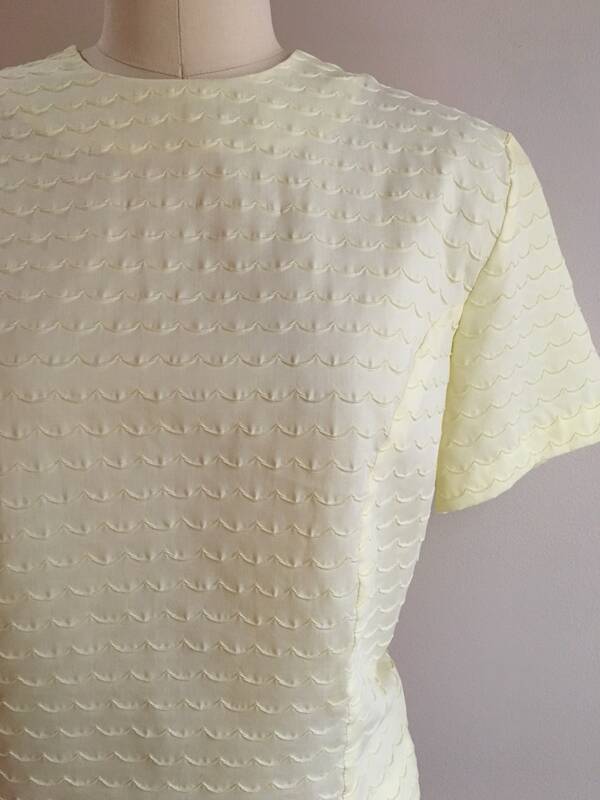 Vintage 1960s women's yellow short sleeve cotton top with scallop surface stitching design and button-up back. 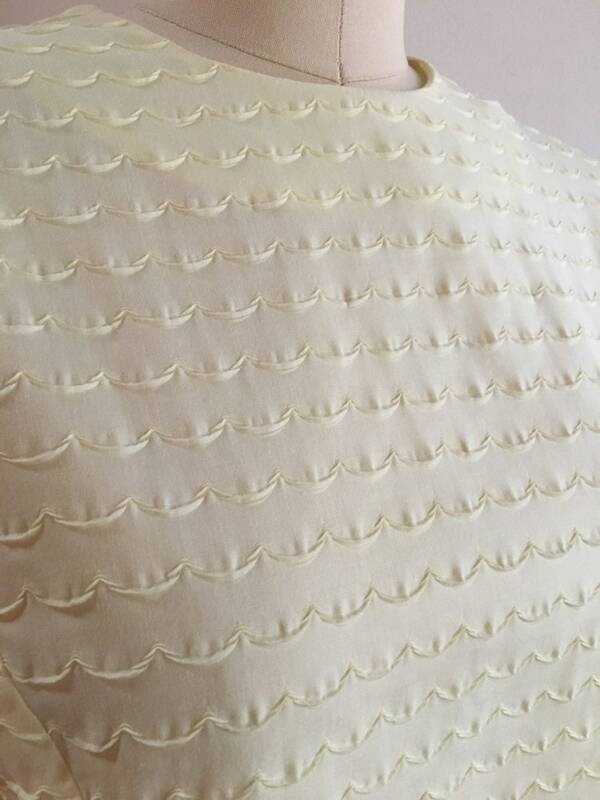 Cute scallop stitching texture on cotton fabric (see detail photo). 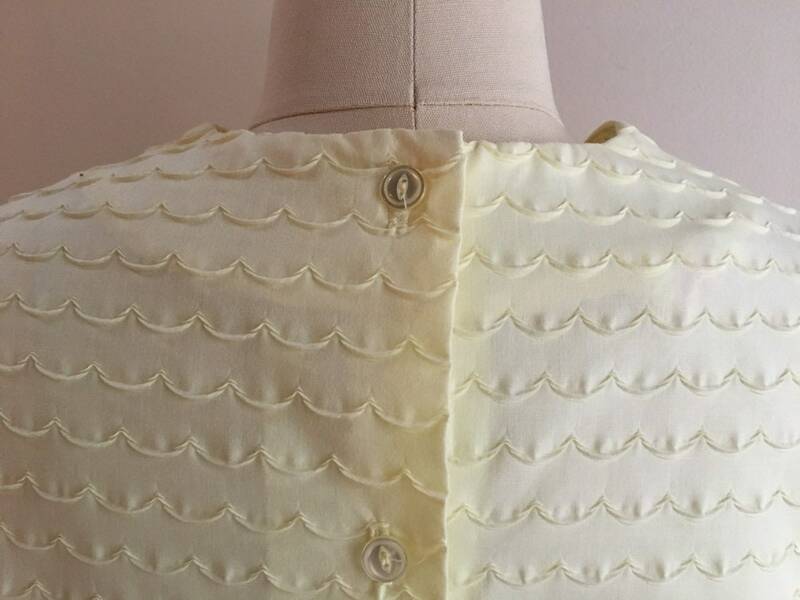 Princess seams over bust line. 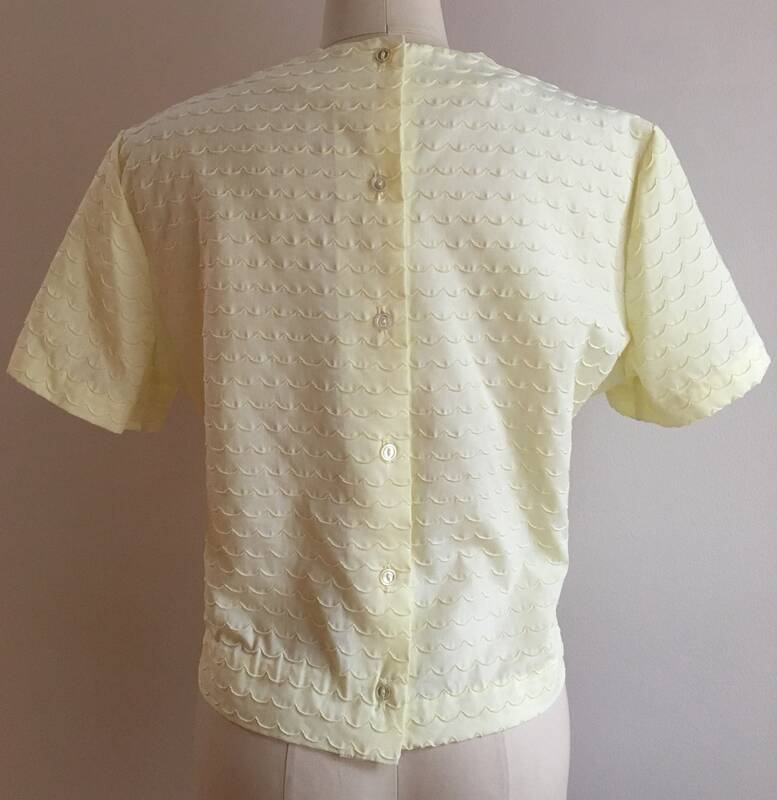 Six small round buttons down center of back. 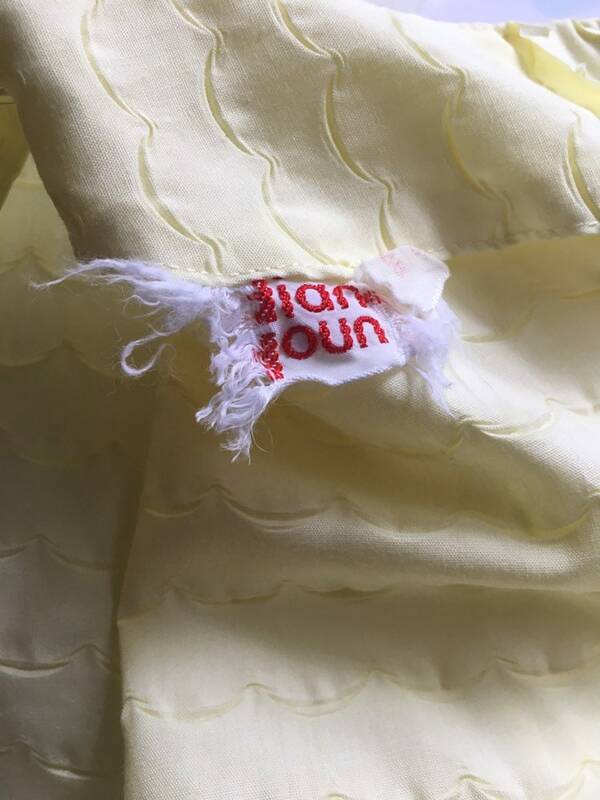 Made by Diane Young (see photo of frayed tag).